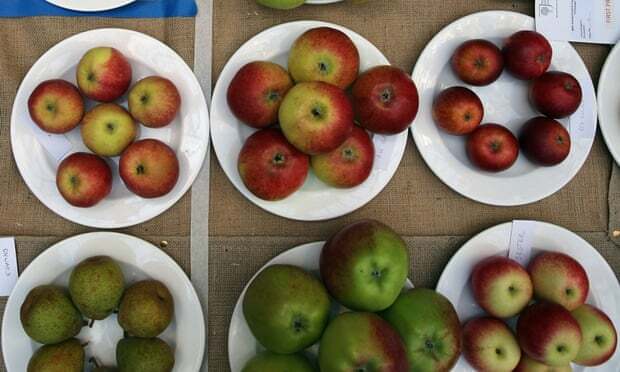 US regulators have approved what would be the first commercialised biotech apples, rejecting efforts by the organic industry and other GMO critics to block the new fruit. The US Department of Agriculture’s animal and plant health authority, Aphis, approved two genetically engineered apple varieties designed to resist browning that have been developed by the Canadian company Okanagan Specialty Fruits. Okanagan plans to market the apples as Arctic Granny and Arctic Golden, and says the apples are identical to their conventional counterparts except the flesh of the fruit will retain a fresh appearance after it is sliced or bruised. The company’s president, Neal Carter, called the USDA approval “a monumental occasion”. “It is the biggest milestone yet for us and we can’t wait until they’re available for consumers,” he said. Arctic apples would first be available in late 2016 in small quantities but not widely distributed for some years, Carter said. The new Okanagan apples have drawn broad opposition. The Organic Consumers Association (OCA), which petitioned the USDA to deny approval, says the genetic changes that prevent browning could be harmful to human health and pesticide levels on the apples could be excessive. The OCA would pressure food companies and retail outlets not to use the fruit, said its Director Ronnie Cummins. “This whole thing is just another big experiment on humans for no good reason,” he said. USDA said it had determined the apples were “unlikely to pose a plant pest risk to agriculture” and they are “not likely to have a significant impact on the human environment”. The law only allows the agency’s decision to be based on its analysis of the plant pest risk to agriculture or other plants in the United States. Several science, environmental and consumer groups have said they worry the genetic changes could have unintended consequences for insects, animals and humans. “We think there are some possible risks that were not adequately considered,” said Doug Gurian-Sherman, a plant pathologist and senior scientist with the Centre for Food Safety non-profit group. Okanagan said in a statement its apples had undergone “rigorous review” and were “likely the most tested apples on the planet”.